P90X Nutrition Plan: To Cheat or not to Cheat? We are finishing Phase 2 of P90X and have faced some challenges with the P90X nutrition plan during the last few weeks. Generally, we follow the plan fairly well – although I tend to eat more fruits and vegetables (ok and frozen yogurt) than prescribed and sometimes an extra carb on running days. This past week my boyfriend Mike and I were faced with a few nutrition challenges: Mike’s mom’s birthday dinner, an engagement/housewarming party, a work potluck (for me), and Mike’s 30th birthday. During Phase 1, we were faced with a variety of events such as these, but we stuck to our guns and avoided cheating. The only cheat meal we had during the first 4 weeks of P90X was a three course meal on Valentine’s Day. Last Saturday we had breakfast out at a restaurant with no P90X friendly options, the engagement party AND Mike’s mom’s birthday dinner. I had three glasses of wine at the party and then another at dinner, plus a bread, brie, steak, mac & cheese, and half a slice of mud-pie. Diet suicide! Despite running 10 miles that morning, I felt terrible the next day – I was wracked with guilt about what I possibly did to destroy the results I have worked so hard for. I ended up adding in a 2nd work out on top of Legs & Back on Sunday ( I tried P90X Plus’s Kenpo + workout) to make up for it, but I doubt it put a dent in the calorie count I racked up on Saturday. This past Thursday was both St. Patrick’s Day and Mike’s 30th. My office loves to have potlucks, so of course we had one to celebrate the holiday. I was able to escape this calorie-fest fairly unscathed by making good choices and avoiding dessert. And again, we were good that evening by having turkey burgers on whole wheat from our favorite health food restaurant. To celebrate his birthday, we had several friends over and we enjoyed a few beers plus a large slice of birthdaycake. The next day, we went to our favorite sandwich shop and had our favorite, very non-P90X friendly, sandwiches to reward ourselves for skydiving (yes, we sky dove for the first time in honor of his 30th birthday!). Basically, we semi-fell off the wagon this week. The difference between the two cheats was that these past few days we used exercised a fair amount of moderation as compared to last Saturday I felt like I lost control and ended up feeling very guilty about it! With all this cheating going on, we found that it was even easier to make justifications. Mike and I decided that we needed to set boundaries for our “cheat meals.” We agree that they are an allowable and healthy part of any nutrition program, but we also know that they can have a snowball effect (what’s a diet soda with lunch if we had four beers last night!?) With that, I decided to do some research on how often the experts recommend we cheat. 1) Psychological Benefits. Although sticking to a diet like P90X doesn’t leave me unsatisfied in general and I enjoy the foods I am consuming, sometimes it’s exhausting to plan and prepare all my meals. Sometimes it’s nice just go to a party and feel like a “normal” person and drink a couple of glasses of wine and have some cheese and crackers. Plus, it’s not always fun to explain to everyone at a party that you’re not eating because you’re following a strict diet plan. I’m not saying you should use every social event as an excuse to cheat, but it’s helpful to plan your cheat meals around social events. 2) It may actually help you lose more weight. Ok this one sounds kinda crazy, but in moderation, cheat meals can actually “trick” your body into burning more calories. The theory behind this is that if you consistently eat the same number of calories (1,800 -2,000 a day for me), then your metabolism actually changes to burn that many calories. So if you occasionally throw in a trick day where you eat over this (the key is not to eat more than 500 extra calories), then your body won’t be able to get used to the lower calorie intake, and you will continue to lose fat. It’s kind of like the work-out plateau effect that the whole P90X system is built on – you want to beat diet plateaus by changing up your eating habits. 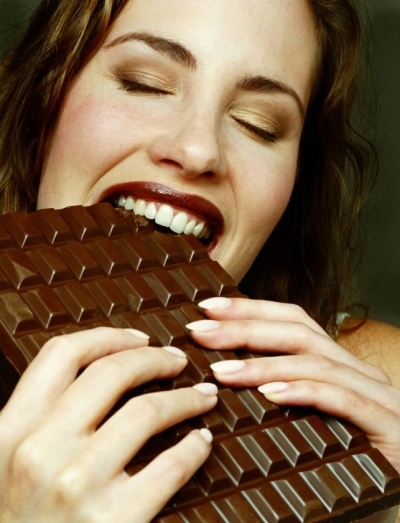 3) Cheat meals prevent binges. Perhaps I waited too long to have a cheat meal before last Saturday, because I definitely fell way off the wagon (could have been the alcohol too). Having one cheat meal a week can mentally get you through dieting because you know that you have a delicious meal coming up and you know you can wait for it. Also, if you completely deprive yourself of everything you love, you are more likely to fall off the wagon and eat it all in one day! 1) Consume no more than 500 extra calories in the particular meal. I typically eat about 600 calories at dinner, so a cheat meal for me shouldn’t be more than 1,100. 2) Don’t go to your cheat meal starving – this will lead to overeating! Be sure to have a light snack before the meal, or if attending a party with appetizers and dessert only, eat a healthy, light meal before you get there. 4) Don’t cheat all day. Although under eating the rest of the day can lead to overeating, be sure to not overdo it during other meals during the day. Make healthier choices for your other meals so that you have a few extra calories to spare at your meal or party. 5) Bring your own snacks. When you know you will be tempted all day (ie your family goes to Disneyland or you are out of town on business), pack easily portable baggies of almonds, apples, oranges, and/or protein bars. This way you can have a small hamburger for lunch and know that afterward you can fill up with a protein bar rather than ordering the fries to go with your hamburger. Mike and I will be incorporating one cheat meal every 1-2 weeks! No more cheat days and no more excuses. We are entering Phase 3 and we are ready to BRING IT! Hi am looking to start Insanity again on the 30th April after my first Marathon. I have been combining training and Insanity for a while now, but i have fallen off the wagon due to injury and illness. So once i complete the marathon, i wnat to start insanity and give it everything, i also want to keep running at least 2ce to 3 times a week. Any advice on hoe to do this?